The grandest stage of football. The World Cup is the biggest competition that is available in football. A storied competition which cuts through the mainstream and into the public domain, the FIFA World Cup touts lineage and prestige in abundance. The iconic competition is said to be the pinnacle of football, as people from all faiths and backgrounds watch football at least once every four years, while they cheer on their adopted nation towards victory. If the World Cup is the grandest stage, then some of the greatest players in the history of the sport have shone brighter than ever. Pele, Garrincha, Maradona, Ronaldo, Franz Beckenbauer, Bobby Moore, Zinedine Zidane etc. Some of the future greats too, have already made an impact on the tournament in the form of the young core that helped France win the 2018 World Cup, led by the likes of Kylian Mbappe and Paul Pogba. For all the greats that have won it, there are some astoundingly talented players to have never won it. This list will look at 5 of those players that have never won the World Cup, even though some of them came agonizingly close. The Brazilian great never got his hands on the big golden trophy. 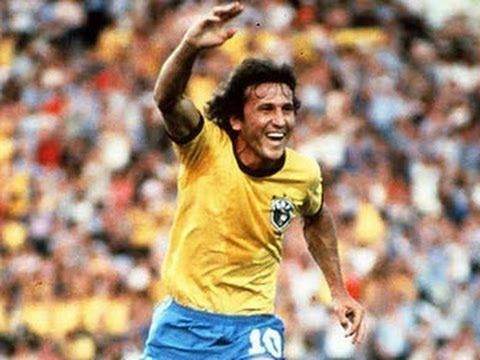 Zico is oft remembered as the shining light of one of the best Brazilian teams in the history of the world cup. While any one of the players from that team could take the fifth spot here, we award it to Zico, as he was considered to be the best out of the lot at the time. His generation came after the glory days of Pele, who had called time on his international career after the 1970 World Cup, in which the team was victorious. The team in 1970 was considered one of the greatest teams ever, up until the team that came in 1982 who challenged for that title. Zico had Socrates, Eder, Falcao etc. by his side as he led tournament favourites Brazil into the tournament, but he sadly didn't get far in the tournament, being eliminated by Italy in just the second round. In his three attempts, Zico failed to win the World Cup despite everyone considering him and his team to be the favourites. He never bettered his third-place finish from the '78 Cup.